We are proud to announce that Westbluff Homeowners Association has selected Tinnelly Law Group as their associations’ legal counsel. Westbluff is a lovely single-family home community nestled in the beautiful City of Fullerton. Conveniently located, Westbluff enjoys not only a beautiful family-friendly environment with access to parks, schools and malls, but also has Los Coyotes Country Club as a close neighbor. Residents also enjoy three beautiful pools and waders, two tennis courts, a basketball court, RV lot, two tot lots, and a volleyball court. Resort-style living all in one quiet and friendly neighborhood. 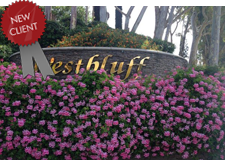 Our HOA attorneys and staff look forward to working with Westbluff’s Board and management.